This versatile cooking oil is extracted from grape seeds left over from wine-making. It’s considered to be a good all-purpose oil that can be used for sautéing and roasting, or in salad dressings. 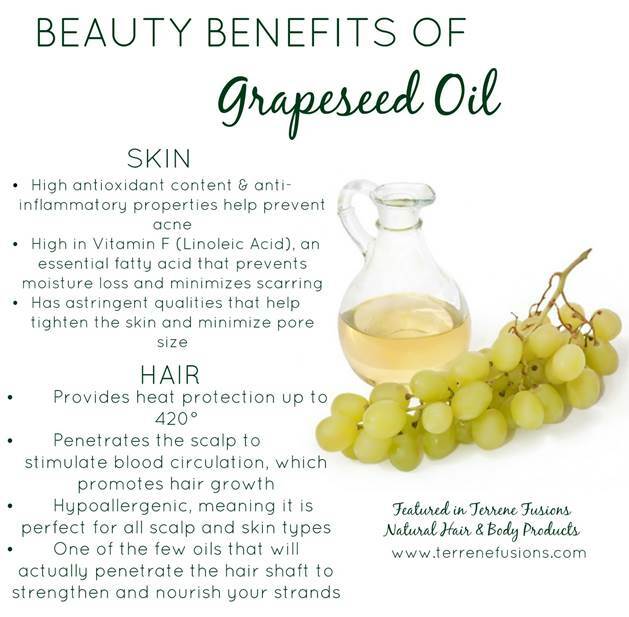 Grapeseed oil has a high percentage of polyunsaturated fat (71%), with a similar fatty acid profile to soybean oil. According to a 2016 review of studies published in the Journal of Nutrition and Metabolic Insights, little is known about the effects of grapeseed oil on human health.